Home / What’s Your Legacy? 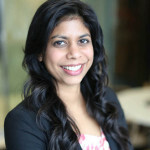 Passionate about social innovation, Uma’s committed to making a sustainable difference in her community that is connected to economic and social prosperity for all. Is it ending poverty in Canada? Or helping newcomers find meaningful employment, or ensuring that all children have access to healthy food? My legacy wish is to be a catalyst in my community to spark collaboration across sectors with a shared vision to solve each of these super complex issues. My wish is to no longer have to sponsor a fundraising stair climb, or host a food bank drive, but to shift entire systems to empower residents in my community to be architects of their own solutions. the requirement for substantial investment in infrastructure. New forms of innovation are required to shift progress to overcome these issues and build a new economic operating system that will strengthen Canada’s resiliency.”(4) We now know that the charitable sector alone cannot solve some of Canada’s most pressing issues. We need thought leadership and great minds from all sectors to come to the design table with their diverse and inclusive set of talents, expertise, and innovative problem solving skills to work with communities striving for economic and social prosperity. 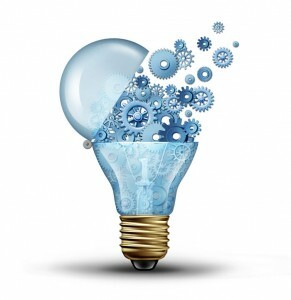 Social innovation provides a platform to unlock value across an entire system and incorporates an entrepreneurial spirit, strategic corporate partnership, smart philanthropic investment, new market opportunities and policy changes to foster an interconnectedness among stakeholders striving towards a shared vision. With the introduction of these new solutions into communities, it’s also instrumental to help build capacity from within. By combining capacity building with strategic resources, communities will be able to address old problems in a new way. It’s a profoundly different operating model where the path forward is anchored in community resiliency and overall community wealth building. …so what’s your legacy going to be?